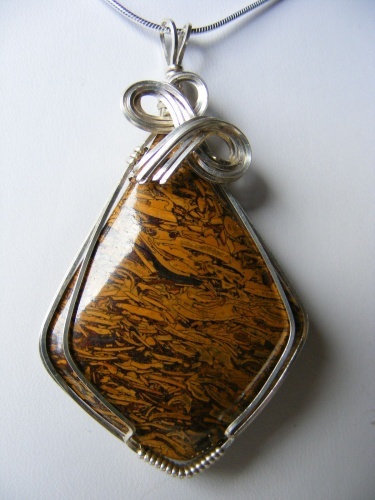 This pretty pendant is in a kite like shape with beautiful brown and blacks running throughout the stone making it very unique. Sculpted in sterling silver this piece would look gorgeous with any outfit. Comes with a sterling silver chain, piece measures 2 1/2" long and 1 1/2" at its widest part.